County councillors have responded to the public outcry following news two care homes in Eastbourne could close. Firwood House in Old Town and Milton Grange in Hampden Park are to be considered for closure for East Sussex County Council to make savings – it was announced last week. 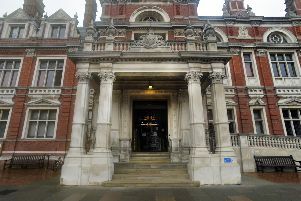 Members of the public reacted with outrage to the news, while local politicians said they were ‘appalled’ and called it a ‘sad day for Eastbourne’. But in a joint statement, deputy leader of the county council David Elkin and Ratton councillor Colin Belsey said they shared the public’s concerns, but said the ‘hard truth’ is that the authority has to deal with falling funding and rising demand for services. The full statement says, “We share the concern of all those who care about how we provide vital services and support to our families and friends who need them most. Our priority is doing the very best we can to protect vulnerable people, but the hard truth is we have to do that with falling funding and rising demand. “We are having to look at all the services we provide, to see if some of them could be provided differently in future. The review of Milton Grange and Firwood House is one of the proposals in the draft budget.